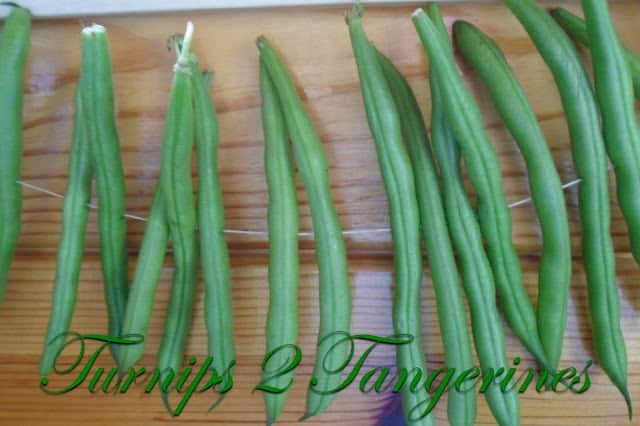 Dry your green beans and wax beans by stringing them together into what early settlers called, “Leather Britches” When I first found this recipe in my Taste of Home Canning Book I was intrigued. First I wanted to see if it was possible and second, I wanted to find out if they would be edible once dried. I found out that the answer was ‘yes’ to both questions. I would guess that in the early pioneer days, “leather britches” was a way to preserve an over abundance of beans. 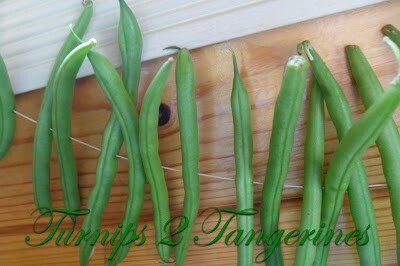 Beans that were leftover from canning or pickling. They would have been used in soups and stews, to reconstitute them in the cooking liquid. Back in those days most people had fruit cellars to store canned and/or preserved food. Women would have strung their beans and then hung them up in the fruit cellar to dry. 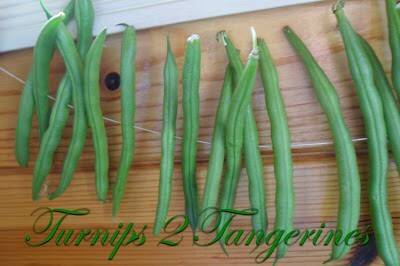 Once dried the beans could be stored in jars or plastic containers. 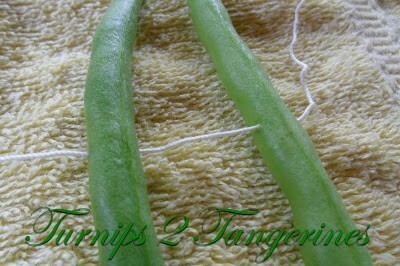 During the summer months and into the fall, women would can, preserve and dry their harvest. Fruits, vegetables, herbs and the like would be placed in the cellar. This was done to insure their winter survival. Everything was used and therefore preserved. Pickles, jam, jelly, pie filling, apple sauce, vegetables, everything was preserved. Even meat and fish was canned. We don’t do this as extensively anymore here in the US but it’s still done today in many countries. 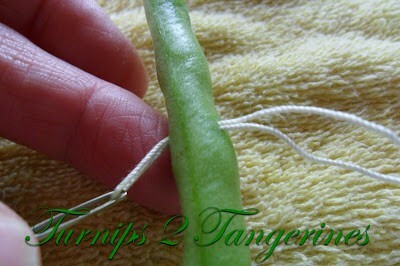 You can bet your britches…drying extra beans is a snap! 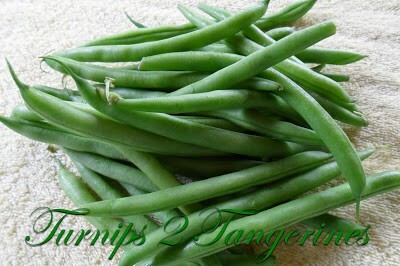 Step 1: Select green or wax beans that are fresh and firm. 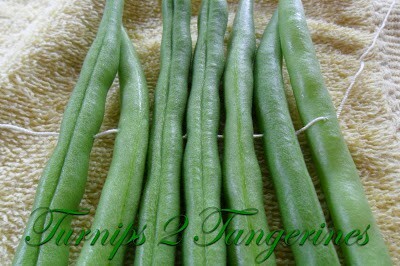 Wash beans, trim off stems, if desired. Pat the beans dry with paper towels. 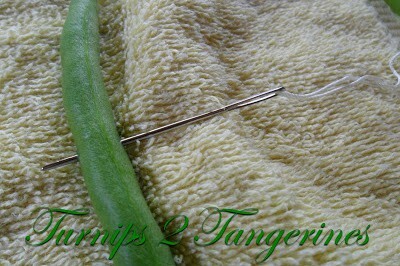 Step 2: Hold a bean upright or lay flat on a dish towel. 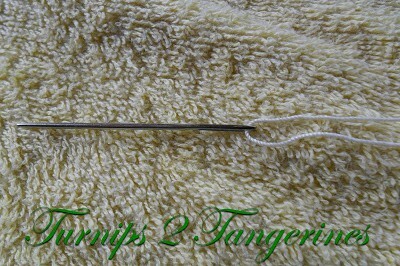 Thread a large darning or carpet needle with heavy-duty thread or kite thread. 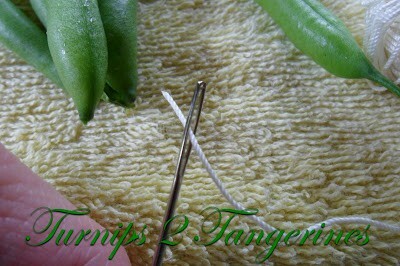 Step 3: Insert needle and thread through the center of each bean, so both ends of the bean are loose. 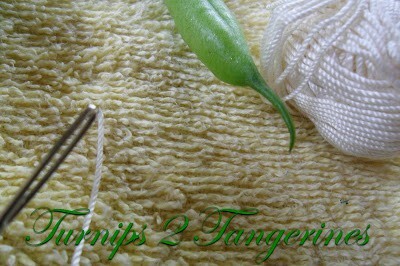 This idea is from Taste of Home Canning and Preserving 2012 Recipe book. I've never tried dry beans in soups before. What consistency do they have? 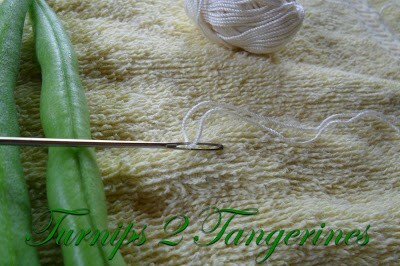 I would be curious to try this year when our garden would start producing.